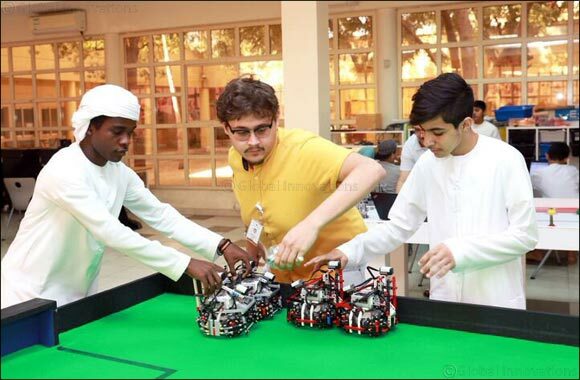 Dubai, UAE, January 26, 2019: The Ministry of Education is gearing up for the launch of its Artificial Intelligence and Robotics (AIR) series competition this Sunday, 27 January 2019 at Abu Dhabi National Exhibition Centre (ADNEC) in Abu Dhabi with the participation of more than 1,500 students from across the UAE competing to represent the UAE at three international competitions in USA and Australia. This year’s AIR series competition marks a milestone for the Ministry as it is the first time in the world a competition runs with the three categories of robotics, programming and technology innovation under one umbrella. More than 3,000 students had participated in the qualifications competition which was open to students across all cycles in the UAE and of which 1,500 of them had been qualified for the finals running from 27 to 28 January 2019. AIR Series consist of a total of 20 competitions that include VEX Robotics Competition (VRC), VEX IQ Challenge (VIQ), First Lego League Jr. (FLJ), First Lego League (FLL), TYNKER National Competition (TNC), Web-Design National Competition (WNC), Python National Competition (PNC), C++ National Competition (CNC), Minecraft National Competition (MNC), STEAM Robotics Innovation (SRI), STEAM 3D Printing (S3D), STEAM Project Advanced (SPA), STEAM Project Beginners (SPB), STEAM Project Kids (SPK), Rescue Simulation League (RSL), Rescue Line League (RLL), Soccer Lightweight, League (SLL), Soccer Open League (SOL), OnStage Preliminary League (OPL) and EGA Engineers of Future (EEF). In 2017, the competition saw 1,437 students participate in the competition as compared to 2,595 students for the year 2018, which is an 80 per cent increase in the number of participants. Throughout the two days several local and international speakers will take center stage and shed light on the latest development in technology and innovation fields. In addition, workshops will be running for guests to be part of and get them engaged in these technologies. On the closing ceremony taking place on 29th of January, the winners who will get the opportunity to compete and represent the UAE in international competitions will be announced.